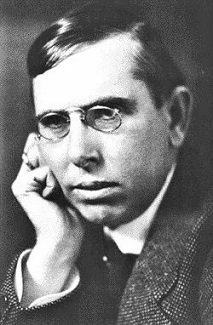 Theodore Dreiser’s first novel, Sister Carrie, was based on real people and incidents: (1) Dreiser’s sister Emma Wilhelmina Dreiser (Carrie Meeber in the novel); and, (2) Emma’s lover L. A. Hopkins (George Hurstwood in the novel). They absconded to New York after Hopkins, a married man, stole money from his employer in Chicago. The incident in which Hopkins stole cash from his employer, Chapin & Gore (Fitzgerald and Moy in the novel), a firm that owned a number of Chicago saloons, and absconded — a central incident which underpins the plot of Sister Carrie (where Hurstwood does the same things) — happened in February 1886 and was covered in contemporary newspapers. This entry was posted in Dreiser's family and relatives, Sister Carrie and tagged シオドア・ドライサー, シオドア・ドライザー, シオドー・ドライサー, シオドー・ドライザー, セオドア・ドライサー, セオドア・ドライザー, L. A. Hopkins, Lorenzo A. Hopkins, теодор драйзер, Sister Carrie, Theodore Dreiser, Theodore Dreiser Sister Carrie on October 10, 2016 by Roger W. Smith.